Plantronics (NYSE: PLT) an audio pioneer and communications technology leader, today announced it has extended the management and reporting aspects of its cloud software solution, Plantronics Manager Pro v3.11, to include Plantronics unified communications (UC) headsets connected to mobile devices running iOS and Android. This extended reach is enabled through the Plantronics Hub mobile application. By deploying Plantronics Manager Pro v3.11 and Plantronics Hub, IT managers can now see, manage and gather valuable insights from the entire line of Plantronics enterprise communications devices that are on the desktop and attach to tablets and mobile phones. Plantronics Manager Pro is Software-as-a-Service (SaaS) designed to manage Plantronics communications devices. 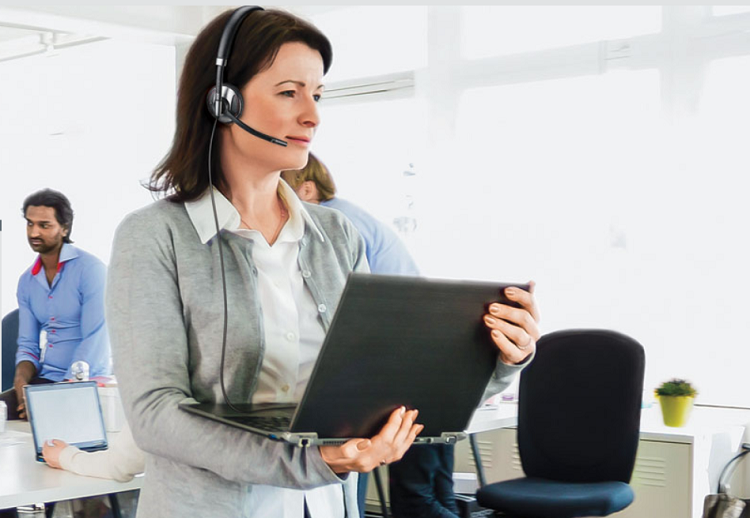 With its easy-to-use tools, IT professionals and their managed-services partners are able to proactively manage the performance of every supported Plantronics headset across the enterprise, ensuring best user experience by accessing actionable insights. Plantronics Manager Pro is available through authorized resellers in most countries around the world. -The ability to see, manage and gain actionable insights from the complete line of supported Plantronics business communications devices, including all Plantronics UC headsets attached to Mac OS and Windows desktops as well Android and iOS mobile devices. -Northbound API access to the Plantronics Manager Pro dataset. This means it is easier than ever for customers, developers and partners to embed this data into pre-existing enterprise applications or create new service offerings. -Streamlined reports. Asset Management and Adoption now includes all the reports IT professionals need to successfully deploy and drive UC and soft phone adoption.